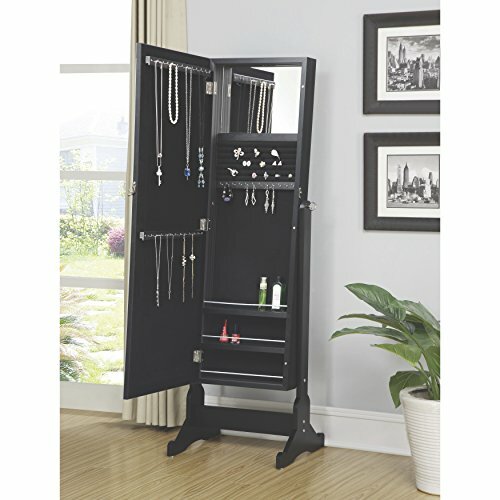 A perfect addition to any bedroom, walk-in closet or bathroom, the Coaster Home Furnishings Casual Jewelry Armoire in a black finish will redefine your definition of jewelry storage solutions and practical furniture, due to its multiple functionality of keeping your jewelry organized and stored, providing you with a mirror to complete your look while adding to your home decor a hint of elegance and style with its minimalist, modern design, all at the same time. 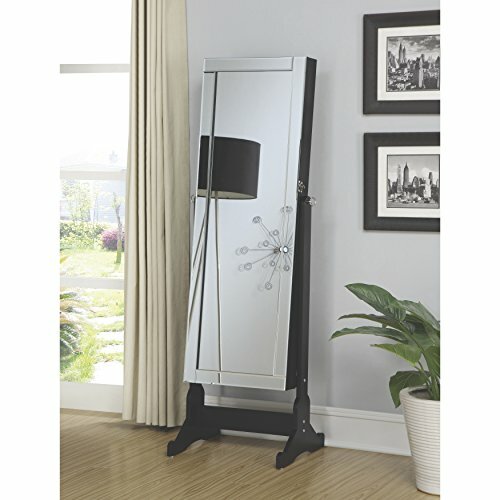 If you are looking for an elegant decorative piece of furniture that will add an elegant allure to your home decor and a practical storage solution for your jewelry collection, then this Casual Jewelry Armoire in a stunning black shade, brought to you by Coaster Home Furnishings will definitely impress you. Floor-standing and incorporating a multitude of useful and practical features, as a full-length mirror, different compartmentalized sections for every type and size of jewelry and accessories you own, the Casual Jewelry Armoire will definitely upgrade your home decor with its innovative storage system and gracious, modern style. 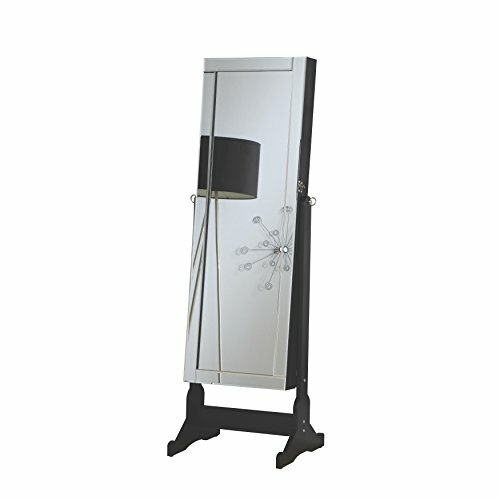 Providing double functionality, the Coaster Home Furnishings Casual Jewelry Armoire available in black has its exterior converted in a full-length tilting mirror, in which you will be able to instantly mix and match your jewelry with your outfit, never having to leave the room or your accessorizing corner. The interior includes a second mirror on top, plus three lower horizontal shelves, plentiful hooks for necklaces and ring holders, all to keep your precious jewelry organized and safe in just one place, saving up your time and energy while getting ready for a day or a night out. Made from the best, lost-lasting materials, the Coaster Home Furnishings Casual Jewelry Armoire will provide your bedroom, hallway or walk-in closet with the necessary storage space for your jewelry collection without taking much space of the room. 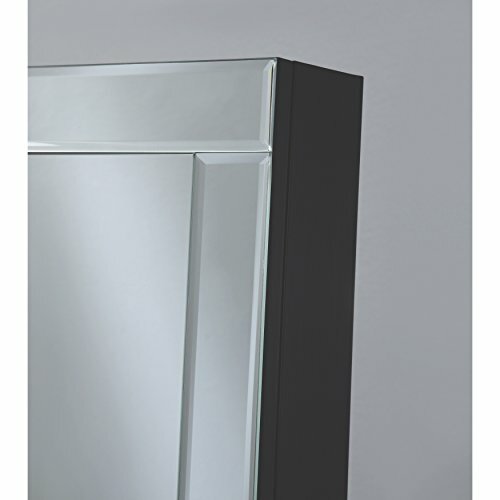 With clean lines, on two solid legs, the floor-standing jewelry armoire in a black finish, which can be easily combined with every existing furniture or design, will complete your home decor with its practicability and elegance, making sure your jewelry is stored safely and in an organized way all the time.